PLEASE KEEP IN MIND THIS IS A PRE-ORDER ITEM. 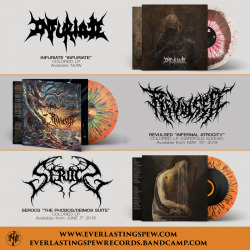 EVERY ORDER INCLUDING A PRE-ORDER WILL BE SHIPPED RIGHT BEFORE THE RELEASE DATE OF THE PRE-ORDER. 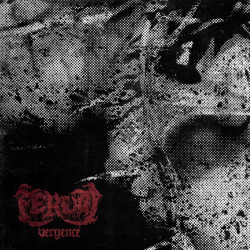 Limited to 400 Regular Black Vinyl and 100 "Cauterization" Vinyl. 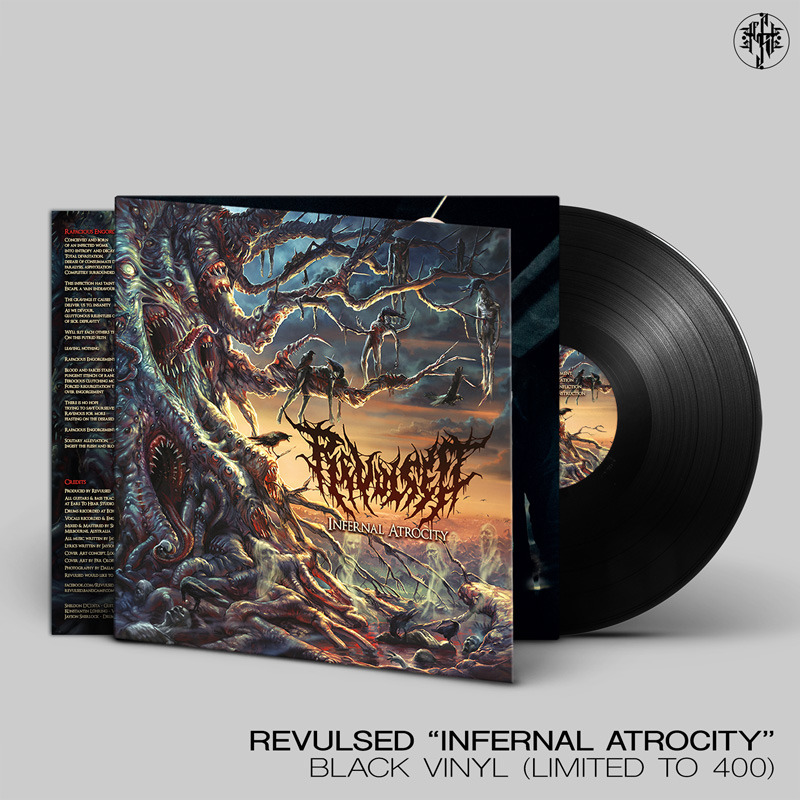 Revulsed's critically acclaimed debut album, Infernal Atrocity, now finally available on VINYL! Number 8 on Trevor Strnad's best 100 albums of 2015 and featuring the masterful artwork of Par Olofsson. 9 tracks of the best of old school and a modern twist. All killer no filler. Featuring Konni from Despondency/Defeated Sanity on vocals. 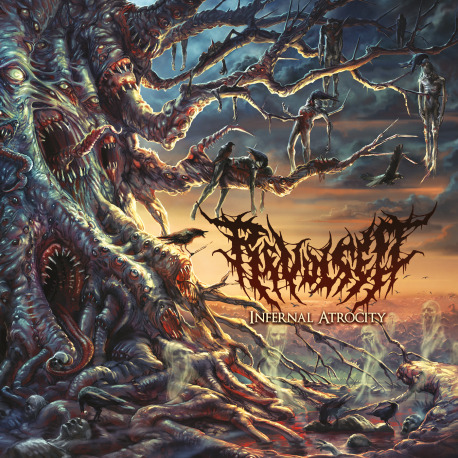 For fans of Suffocation, Cannibal Corpse and Inveracity.